Makita Training Centers offer tailored curriculum and hands-on training for dealer partners focused on increasing their knowledge of Makita’s leading technologies and empowering them to match a Makita solution to their customers. For contractors and end users, the focus is application-driven as users are shown the right accessories and the right tools for the job with an emphasis on proper use for increased productivity and profitability. The training centers are also a learning resource for Makita personnel in sales, marketing, and customer care. Thread Source Sales Rep Joe Laukaitis was at the Makita training facility in Georgia. Take a look at what he got to see! Come experience the Makita Driving Innovation Tour™ at our NEW Naples Thread Source location on July 13! The Driving Innovation Tour™ is an interactive tool demonstration on wheels. The Makita fleet of fully-custom vehicles is traveling across America, bringing users ONE SYSTEM and the world’s largest 18V lithium-ion cordless tool system. Each Tour event features over 100 LXT tools and power equipment with interactive displays and hands-on demonstrations focusing on construction trades, dust management, landscaping, and more. Driving Innovation delivers high-energy events and a 360-degree experience with the very latest in cordless innovation as well as sweepstakes, giveaways, and sales promotions. Experience the Makita Advantage at a Driving Innovation Tour event. The L9 Fastening System from BBI has 9 engineering features that make it the worlds strongest and safest fastening system for the world’s toughest industry. Many companies sell screws and anchors, but no one sells them like Thread Source. Having more than 100 plus years of combined technical experience, we work hard to be on the leading edge of the industry. We have not only learned the basics, but we continue to inform our customers about cutting-edge products and techniques. 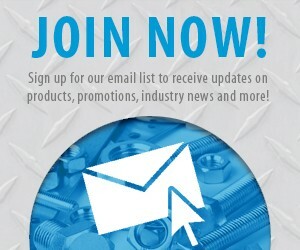 We are a true fastener house resource! © Thread Source Inc 2016. All Rights Reserved.